Idealism doesn’t always mix well with politics (unfortunately). And when the backdrop is the Second World War and its aftermath, the wrong belief could lead to heavy accusations. 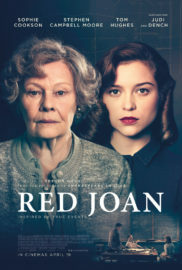 Inspired by the real story of KGB intelligence source Melita Norwood, Red Joan gives a panoramic on the life of scientist Joan Stanley, who passed secret research documents on the development of the atomic bomb to Russian services. The protagonist, who has a strong faith in pure physics and in the sharing of knowledge as a deterrent against creating further casualties, is moved to break her work ethic and support the communist cause. In a swift overlapping of memories with the present, the movie starts with investigations held in 2000, drawing us into the past of the suspected traitor. The female power in the film is its most interesting element. In a society still very reluctant to recognise women for actually having a brain, the way all the men around the protagonist depend on her actions is comforting. Although not properly situated on the right side of history, Joan makes the audience stand with her. Unfortunately, the character’s brave actions and initiative are left to one side to focus the majority of the picture on her affairs. In these relationships, the smart student, the resourceful assistant, the candid pacifist turns and falls over and over again into the seductive arms of men – first the leading comrade who will crucially entice her to work for the Russians, then the caring professor. These rather stereotyped infatuations to which the woman is continually subjected turn the strong character built so far on its head. There are some key scenes that try to convey Joan’s moral reasoning, if not her staunch resentment towards the atrocities witnessed with Hiroshima and Nagasaki, but the film also creates a marked feeling that sensual attraction played a bigger role in her conduct. 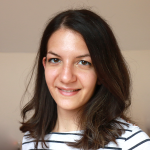 There are smooth shifts between the different temporal levels, the movie favouring the historical timeline in which young Joan is played by Sophie Cookson. But the windows into the present are large enough for the ever-brilliant Judi Dench (even in granny robes) to portray a fully convincing character who doesn’t let the public opinion dirty the purity of her just motives. Nonetheless, it would have been interesting to give more depth to the civil servant’s relationship with her son Nick (Ben Miles). Tom Hughes as Leo and Tereza Srbova as Sonya, the only visible members of the plotting network, give nicely flowing performances. Partially feminist, partially idealist, Red Joan is a dim historical drama, but also an enjoyable, light one. 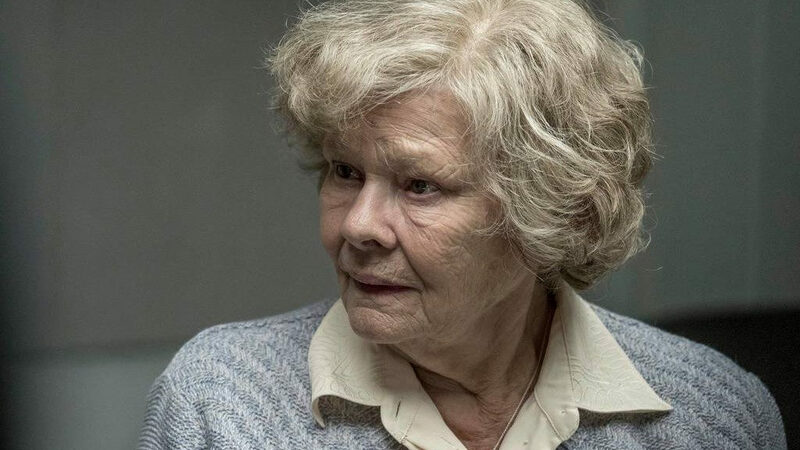 Red Joan is released nationwide on 19th April 2019.